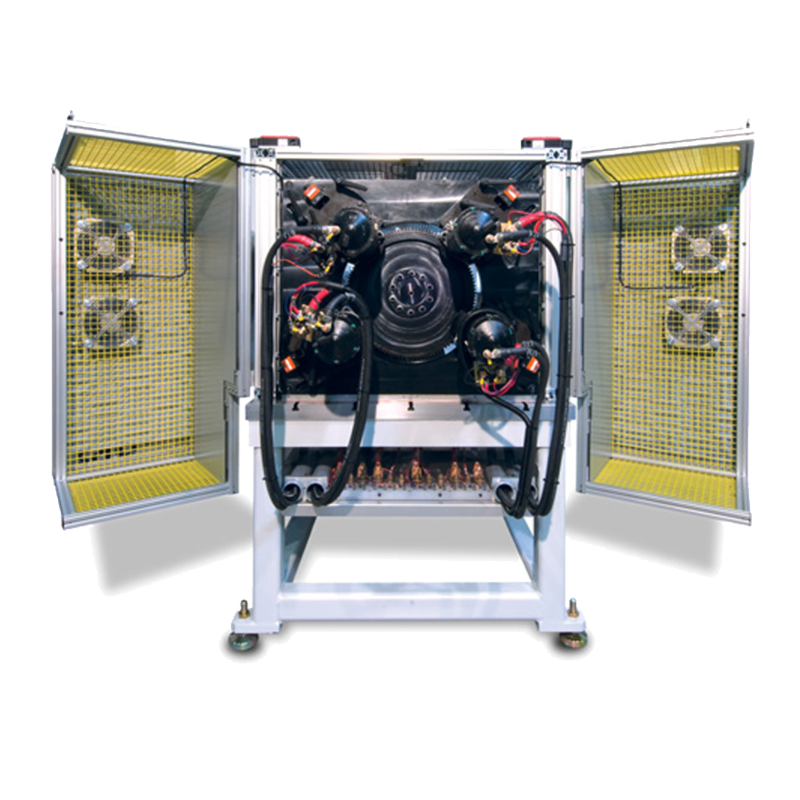 Our ST-66G2 and ST-69G2 Engine Simulators are designed for accelerated starter durability testing. The simulators replicate the speed pulsations the starter experiences from the engine’s piston strokes during cranking and engine starting. Thank you for your interest in the ST-66G2/ST-69G2. Please fill out the form below so we can send you the brochure. Thank you for your interest in the ST-66G2/ST-69G2. Your request has been submitted to our sales department, and we will get back to you soon. These testing systems provide a repeatable and consistent testing platform that is used for component design validation and premature failure investigation. Tests four starters with separate and unique crank profiles, the ability to test Start/Stop and Change-of-Mind (CoM) Starters, an actual engine flywheel can be used to better simulate live engine cranking Programmable power supply provides an accurate simulation of battery internal resistance, automated testing with programmable scripting, and provides simulation of engine firing sequence.